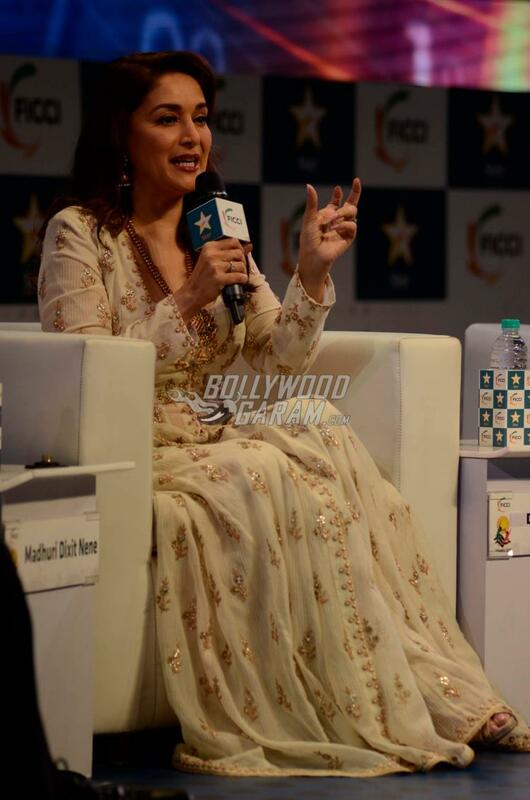 Veteran Bollywood actress Madhuri Dixit attended the FICCI Frames 2017 film festival held in Mumbai on March 23, 2017. The actress was accompanied by her handsome husband, Dr. Sriram Nene. The Hum Aapke Hain Kaun actress looked splendid in a white anarkali with gold detailing, while her doting man, Dr. Nene turned up in an impeccable suit. The dhadak dhadak actress and her husband looked like the perfect stylish couple, as they posed for the shutterbugs and interacted with the media. During the event, the stunning star revealed that she is all set with a few new Bollywood projects in the coming year. After decades in the industry, she is still in high demand for her ethereal beauty and dance moves that remain unmatched with her younger peers. 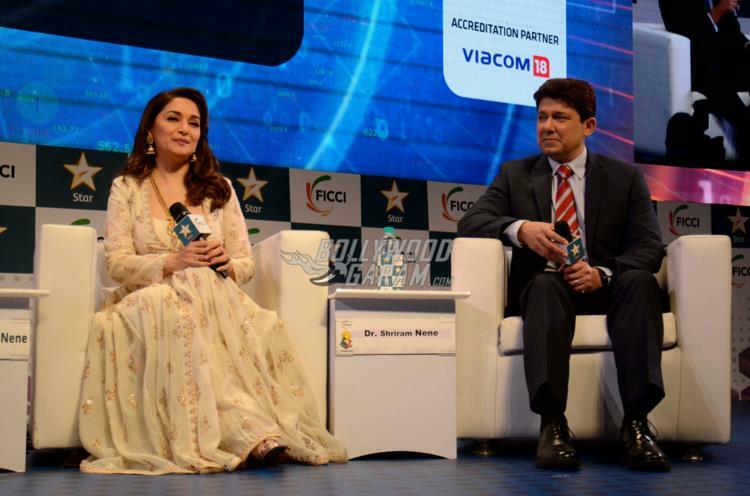 Madhuri had got married to Dr. Sriram Nene on October 17, 1999. The dashing doctor is a reputed cardiovascular surgeon from Los Angeles. After their glamorous nuptials, the actress shifted her base to be with her hubby at his place of work in Los Angeles. While staying in the United States, Madhuri and Dr. Nene became parents to two sons – Raayan Nene and Arin Nene. However, the actress soon brought her young family back to India, after feeling a little homesick. 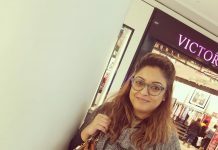 She was welcomed back by Bollywood with open arms, and a string of offers immediately came her way. Her first comeback movie was Aaja Nachle in 2007. The actress then appeared in the movie Dedh Ishqiya in 2014. She also played host for a couple of television shows. 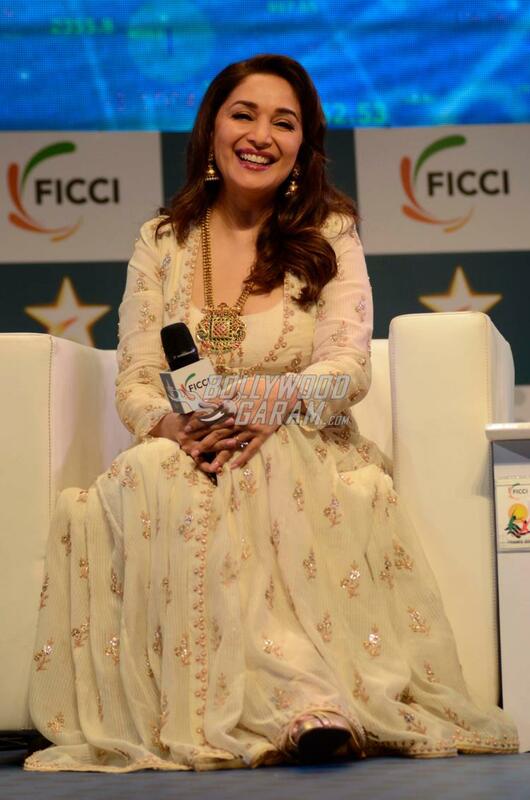 Madhuri Dixit made her debut in Bollywood with the blockbuster movie Tezaab in 1988 and has never looked back. Next articleWishing Kangana Ranaut on her 30th birthday!